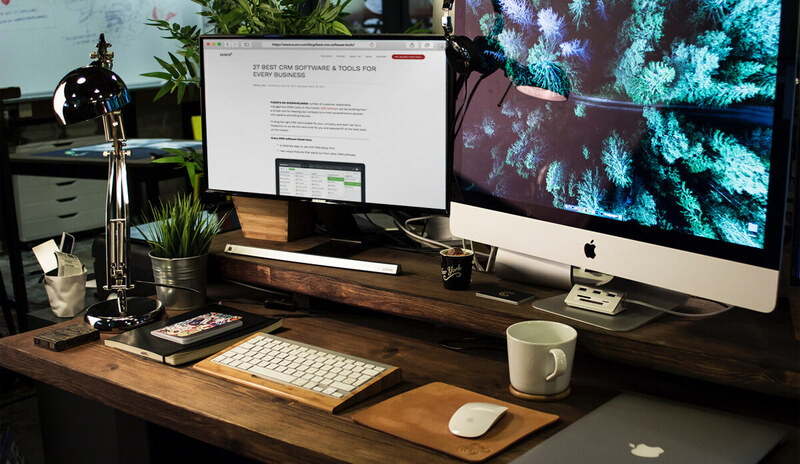 20+ Best CRM Software & Tools. Reviewed. There’s an overwhelming number of customer relationship management (CRM) tools on the market. CRM software can be anything from a simple tool for keeping your contacts to a more comprehensive solution with pipeline and billing features. Finding the right CRM tool suitable for your company and team can be a headache, so we did the hard work for you and selected 26 of the best tools on the market. 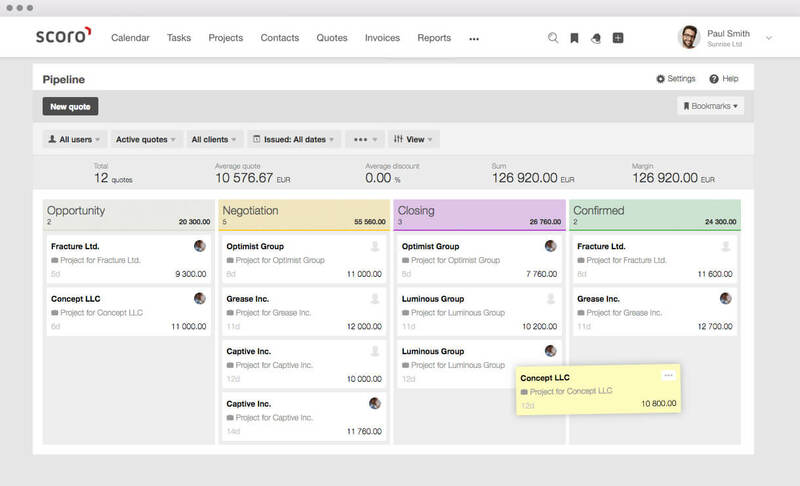 Scoro CRM software helps to coordinate your sales process and improve your team’s performance with a wide set of features including sales pipeline management, project & task management, collaboration, billing, and reporting. What’s interesting about this tool: Scoro promises to save more than 50% of the time that you’re currently spending on reporting, meetings, and double data entry. Sugar CRM gives you an overview the entire customer journey and the contextual intelligence needed for a complete customer view and opportunity anticipation. What’s interesting about this tool: Create multiple personalised dashboards to optimise for short-term and long-term goals. Select from a wealth of out-of-the-box, third-party, and custom Dashlets to see every angle. Salesforce connects sales to service, marketing, and beyond — so you can find selling opportunities throughout your business – from leads to customers to advocates. 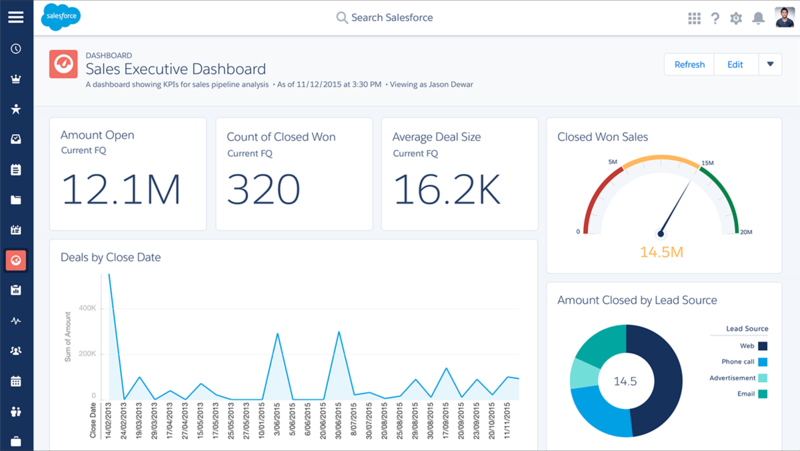 What’s interesting about this tool: Salesforce gives you an accurate view of your entire business with comprehensive forecasts. Check out this Salesforce alternative! With over 50,000 customers, Pipedrive is the leading sales management tool for small sales teams. What’s interesting about this tool: Pipedrive has completely redesigned the world of CRM from a bulky system to an easy-to-use solution. 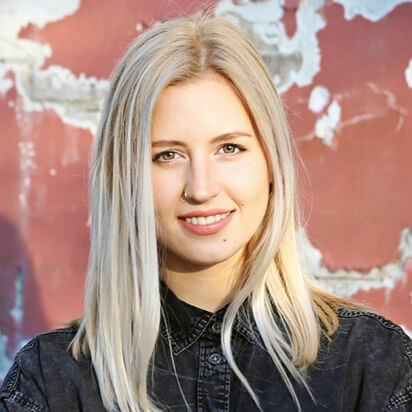 Highrise is the just-right, more thoughtful way to keep track of the people, conversations, and tasks that are the lifelines of your business. What’s interesting about this tool: Highrise was designed to simplify your workflow, no more, no less – as simple as that! 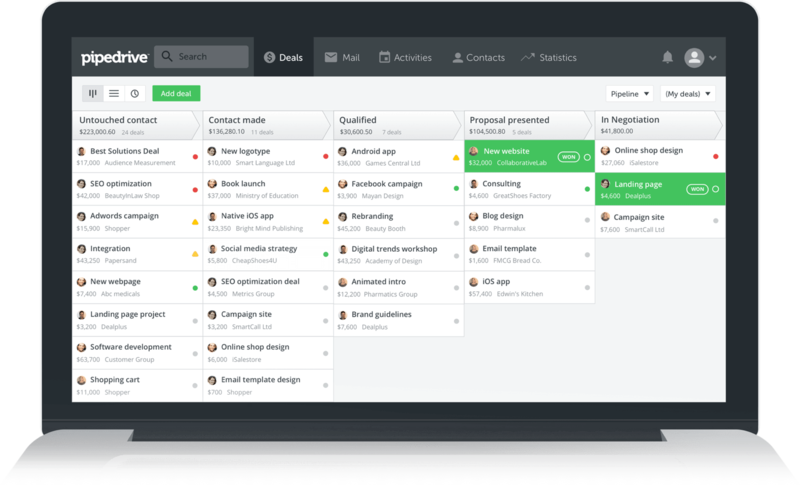 Insightly is a powerful CRM tool with a project and business management feature set. What’s interesting about this tool: Insightly CRM is tailored for any level of experience – from first time CRM users to sales experts. Infusionsoft lets you know the key details about every customer—right down to their last purchase or conversation with you—and impress them with incredible customer service and personalised messages. What’s interesting about this tool: If you’re looking for smarter ways to scale as you grow, the powerful Infusionsoft platform can help. Manage the everyday tasks that slow you down—automatically. 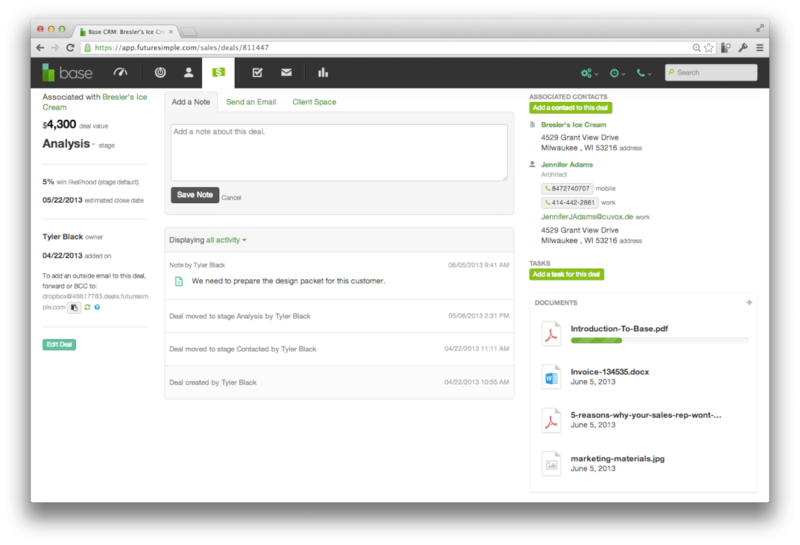 Freshdesk combines customer relationship management with the automated helpdesk. This way, you’ll have more insight into your customers and can serve them the best. What’s interesting about this tool: With Freshdesk, you can help your customers get instant answers by creating a knowledge base that is available whenever they need it. Share your technical documentation, product tutorials, answers to frequently asked questions, and other tips in a single convenient place. Zoho CRM helps to reach out to prospects at the right moment, engage with them across every channel, and close more deals the smarter way. 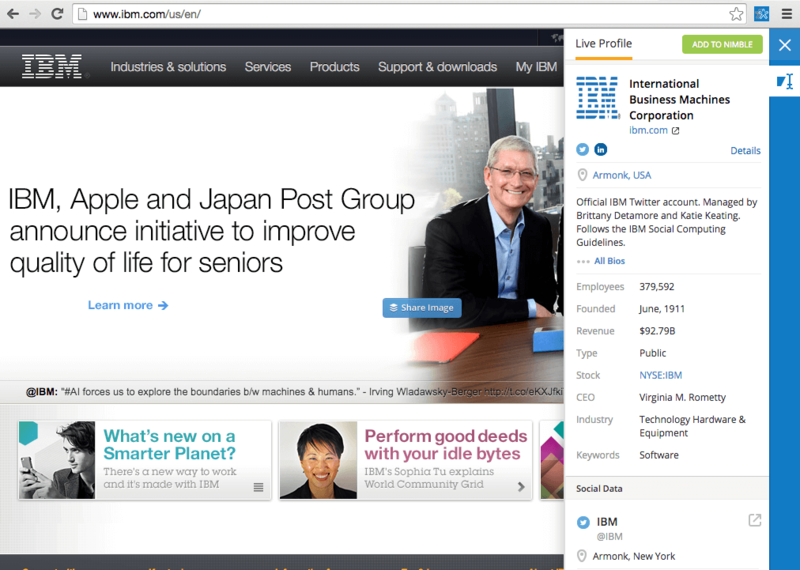 See your email inside CRM. What’s interesting about this tool: Zoho CRM lets you turn routine tasks into contests and watch your salespeople compete to add the most notes or send the most emails. Use bpm’online products to connect the dots between marketing, sales and customer service, efficiently managing the complete customer journey – from lead to order, and to ongoing account maintenance. What’s interesting about this tool: The knowledge base takes on features of social networks — users can like posts and share ideas and comments. This helps other users to quickly and easily find the most popular presentation or the most useful answer. 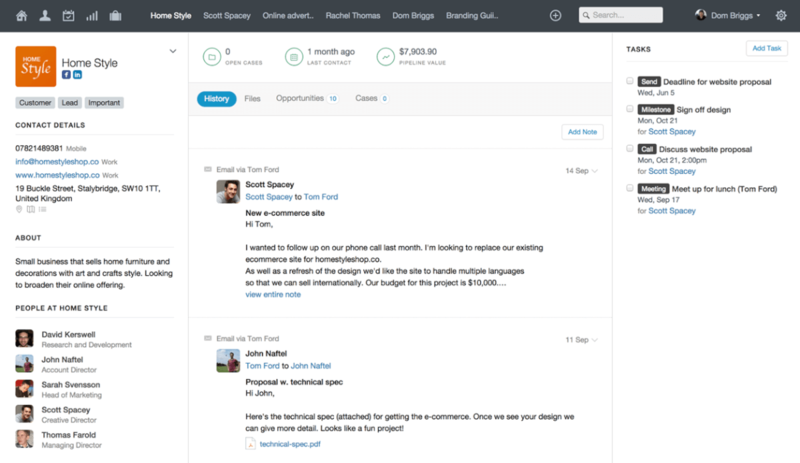 HubSpot CRM makes it easy to organize, track, and grow your pipeline. 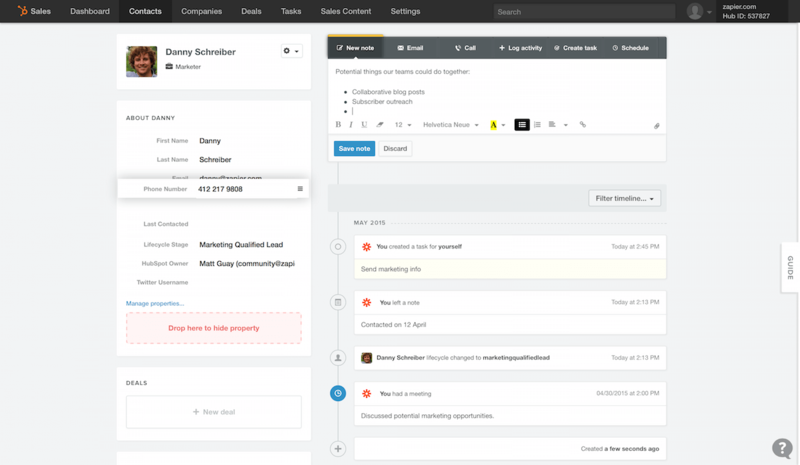 What’s interesting about this tool: HubSpot CRM is part of a full suite of sales productivity tools that sync up with your inbox and make every part of selling easier. Apptivo helps to increase sales by following through on all prospects and closing deals. What’s interesting about this tool: Take full control of how each app looks. Customise it by adding or removing existing fields that pertain only to your business. Sales forecasting can often be a mystery to your management team, but NetSuite CRM takes the guesswork out of forecasts with real-time sales data, complete visibility into opportunities, and a rich set of forecasting tools. 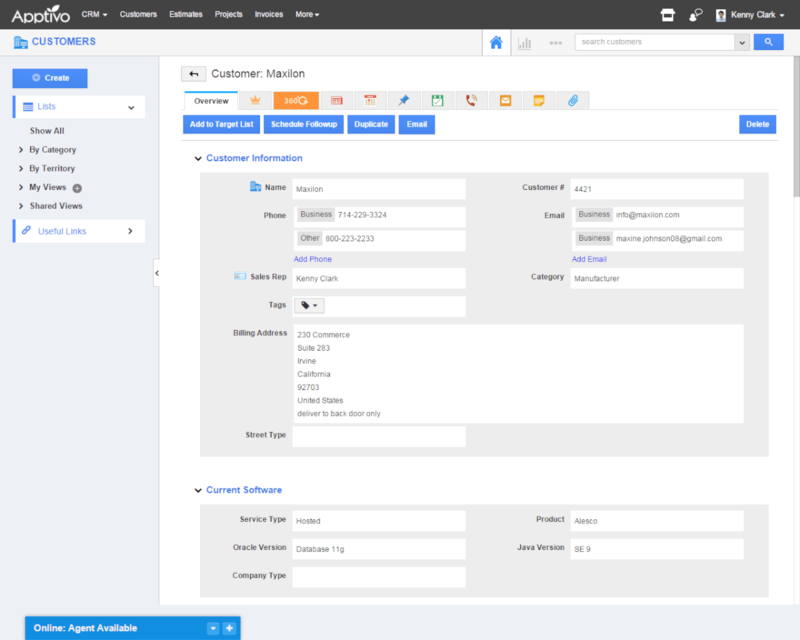 What’s interesting about this tool: In addition to offering traditional CRM capabilities, NetSuite CRM delivers quotes, order management, commissions, sales forecasting, and integrated eCommerce capabilities. 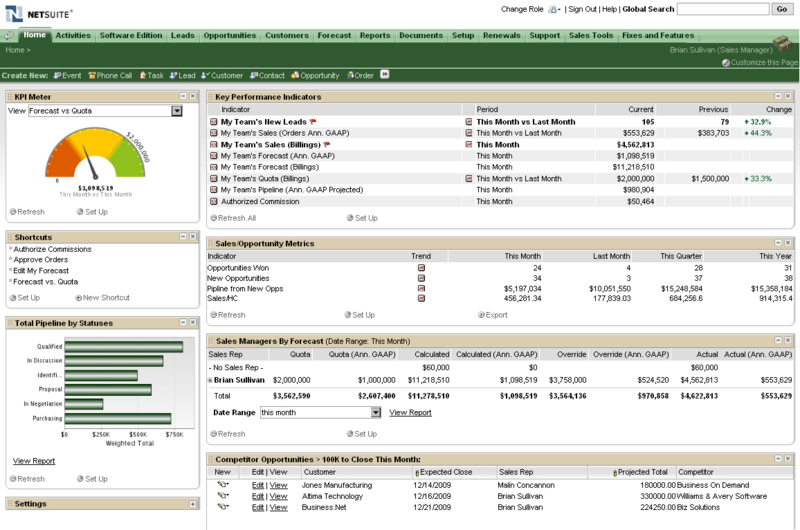 Check out this NetSuite CRM alternative! PipelineDeals is designed to make sales professionals more productive. Using a suite of powerful tools, they give salespeople and their managers the ability organise and develop their customer relationships while offering unparalleled visibility into each stage of their sales pipeline. What’s interesting about this tool: Access PipelineDeals when you’re in the office, at home or on the road. Download the iPhone or Android apps to access your sales pipeline from your mobile device or tablet. Funnel your leads to Base from your website, a spreadsheet, or a marketing automation platform, and Base will teach you which lead sources convert the best into sales. What’s interesting about this tool: Base lets you start with all-in-one sales platform and build the best sales stack for your team with add-ons. Capture new opportunities across your organisation when you bring people, data, and processes together with Microsoft Dynamics 365. 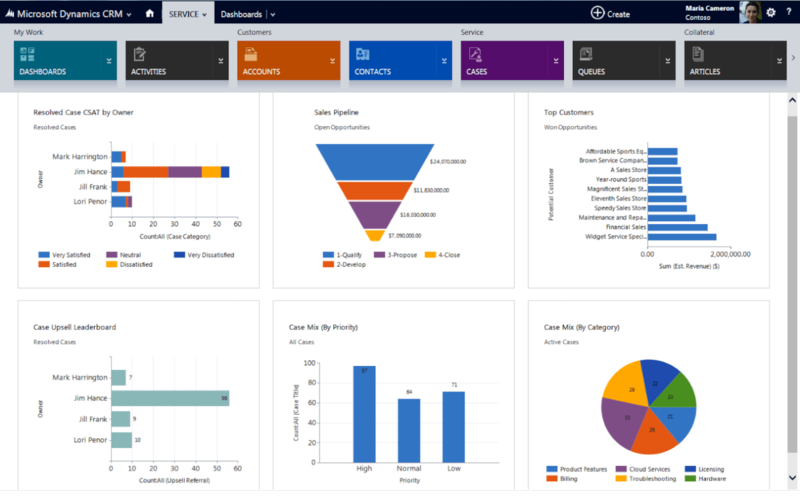 What’s interesting about this tool: MS Dynamics brings digital intelligence into each deal, so you can predict customer needs—and meet them with the personal attention that builds relationships and revenue. Nimble automatically updates itself with relevant prospect and customer information from dozens of data sources. See details about where your prospects work, where they went to school, where they’re from and how you’re connected. What’s interesting about this tool: Let Nimble automatically create and update contact details to save time and have more accurate CRM data. What’s interesting about this tool: If you’ve used a spreadsheet, you already know how to get started with Fieldbook. It’s just a grid—add whatever rows and columns you want. Odoo is an open source ERP and CRM software with top-notch usability. What’s interesting about this tool: Turn sales & purchase orders into invoices in one click and track them through their payment with a sales add-on. Instream is a sales, contact management and relationship automation tool. 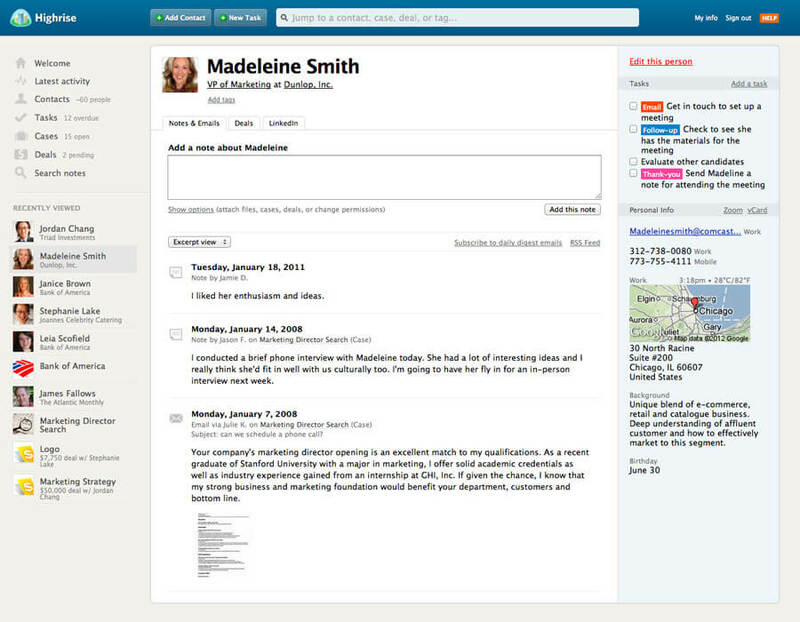 What’s interesting about this tool: Instream lets you gather information from social platforms. Less Annoying CRM is designed specifically for small businesses. The setup only takes a few minutes. What’s interesting about this tool: This is a simple CRM for simple processes and small companies. No hassle. 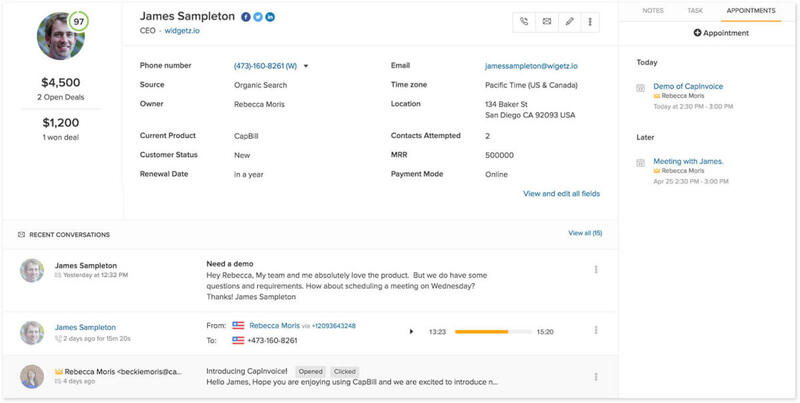 Capsule CRM lets you store and manage all your business contacts in one place. All relationships, not just customers. 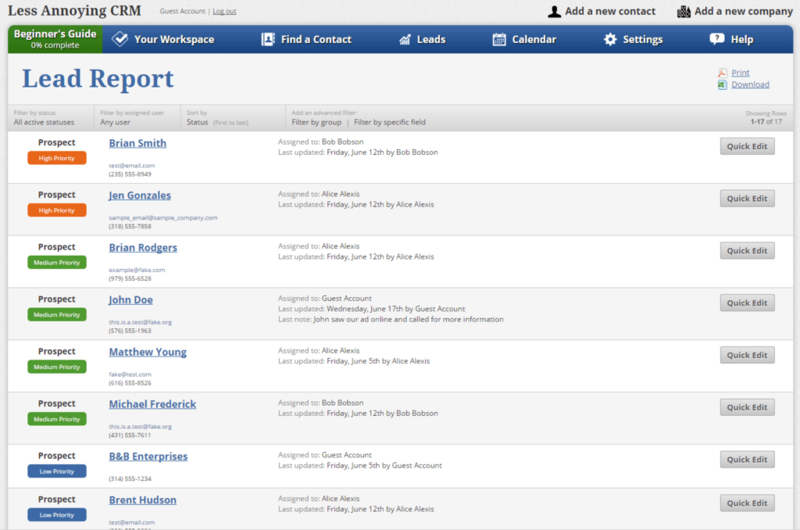 Manage contacts, leads, customers, vendors, and more. 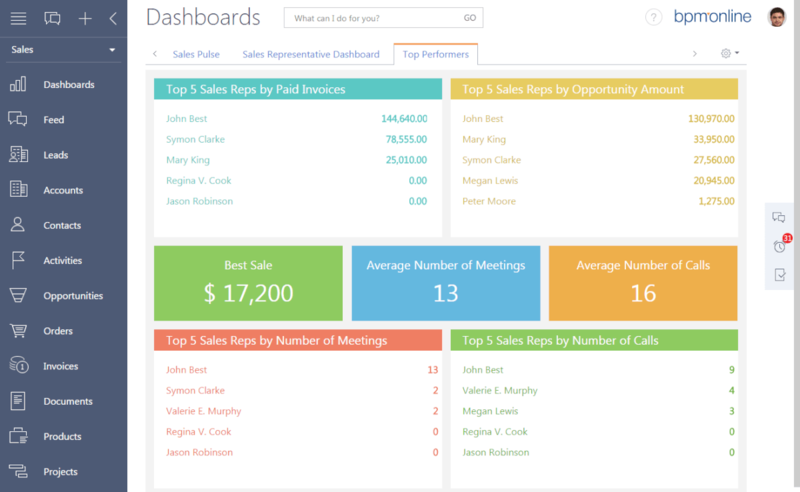 What’s interesting about this tool: Capsule CRM gives you a quick summary of opportunities on the go via the sales dashboard, including potential values, where they’re up to, and what needs to be done next. 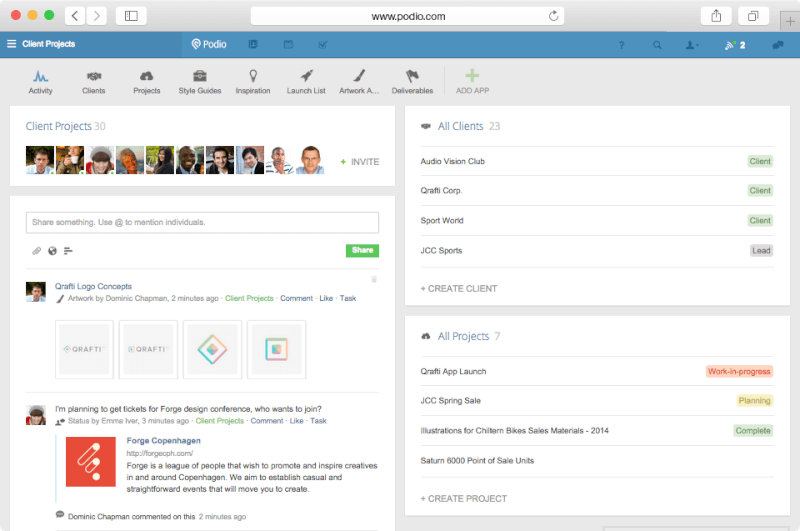 Podio is a flexible and highly customizable online hub for work and team communication. What’s interesting about this tool: Podio’s workflows feature enables you to add if-this-then-that logic to Podio apps. For example, instruct your app to create a task or comment whenever an item is created or when a particular update is made to an item. 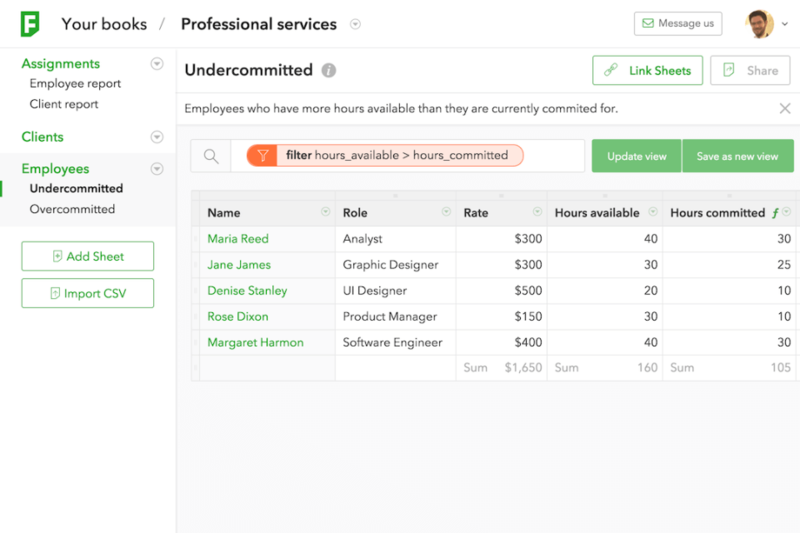 Freshsales is the CRM for high-velocity sales teams. 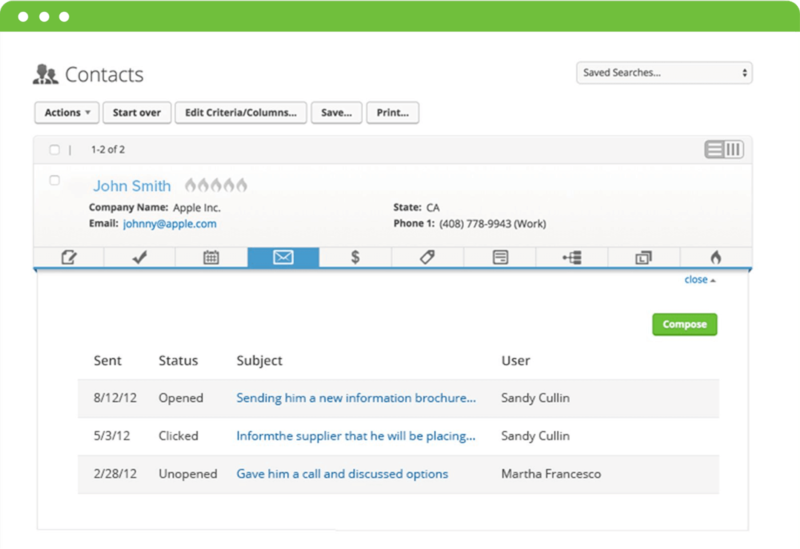 What’s interesting about this tool: Freshsales has a built-in phone – make and receive calls, minus the data entry! WorkBook is a software suite for CRM, project and resource management, collaboration and file sharing, forecasting & accounting. What’s interesting about this tool: Not all clients have the same needs. WorkBook lets you choose exactly what modules that suit your needs and only pay for what you use. With integrated CRM, projects, billing, help desk, reporting and collaboration, WORKetc is the single cloud computing platform. This means just one software solution for your entire business. What’s interesting about this tool: By integrating support cases directly inside of all areas of WORKetc, you can ensure the customer is always looked after. As always, we’d love to hear about your experiences with CRM tools. Leave your comments below!